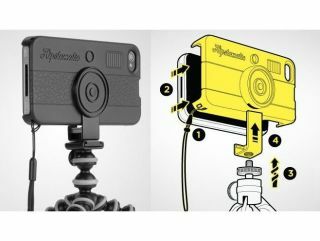 If you are a regular user of the retro-camera Hipstamatic app on your iPhone 4, then this new retro camera case is sure to appeal. The new HipstaCase is currently only available in the US ($40 plus international shipping costs), so it doesn't come cheap. Hipstamatic commissioned designers at Agent 18 to create the new HipstaCase, which also comes with a tripod mount, to finish off the retro look. HipstaCase also has a handy wrist lanyard, to truly top off the toy camera feel to this unique snap-on iPhone 4 case. You can grab the Hipstamatic iPhone app from the iTunes App Store, if you have somehow missed out on what the nostalgia-cam fuss was all about in the first place.